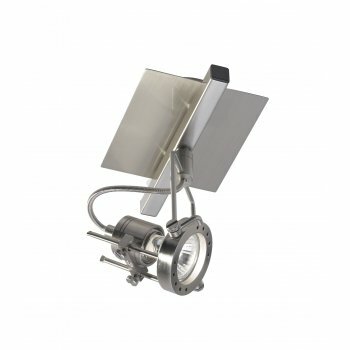 Dar Lighting Bauhaus single light wall spot fitting features a satin chrome shade attached to a wall plate. The product code for this Dar wall spot fitting is BAU0746. Dar Bauhaus has an adjustable super-tech head. There is a 3 light fitting and 4 four light fitting also available in the range.